We all probably have leftover Thanksgiving and Friendsgiving leftovers. I had some butternut squash & sweet potato mash from a Friendsgiving over the weekend. I wanted to recreate it into something else. I was thinking maybe pancakes, waffles, or muffins? Muffins seemed the easiest and most practical so I went that route. It is so easy! Just mix the below ingredients together. Pour in a muffin pan and pop in the oven. Then you have yourself a delicious Thanksgiving bite for a few days to come! Total Time: about 30 min. 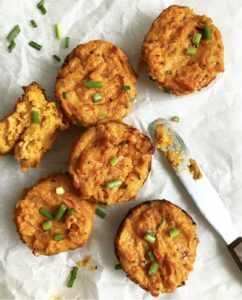 3 cups of sweet potato mash (or butternut squash mash or mashed potatoes) *You can mix & match too! In a sprayed muffin pan, add 2 tbsp of the mixture for each muffin. Bake for about 25-30 minutes. *Keep an eye on it after 25 minutes. Take out the pan and allow to cool. Once cooled, use a butter knife or small spatula to slowly go around the edges of the muffin and pop it out. *The bottom will more than likely still be a bit soft bt the edges not so much. 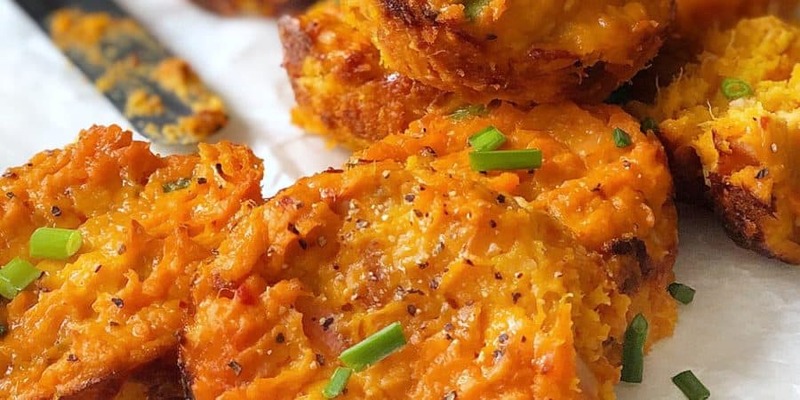 Enjoy these bites perfect for brunch or a snack!